Beginners (and more experienced) are welcome to attend a first class at any time and can just come along, although you may wish to check the news page for holiday breaks. Loose clothing, flat shoes and enthusiasm to learn are all that is required. 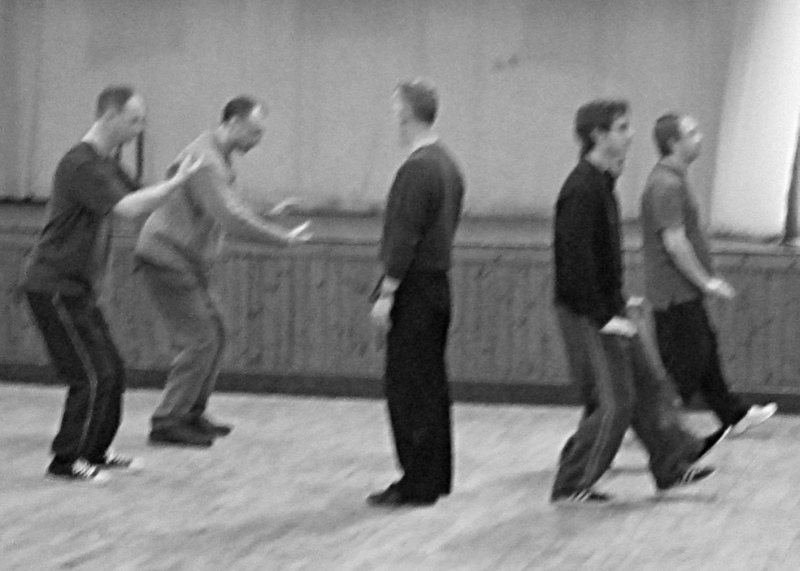 I first started practicing Yang style Tai Chi Chuan in Glasgow in 1982. 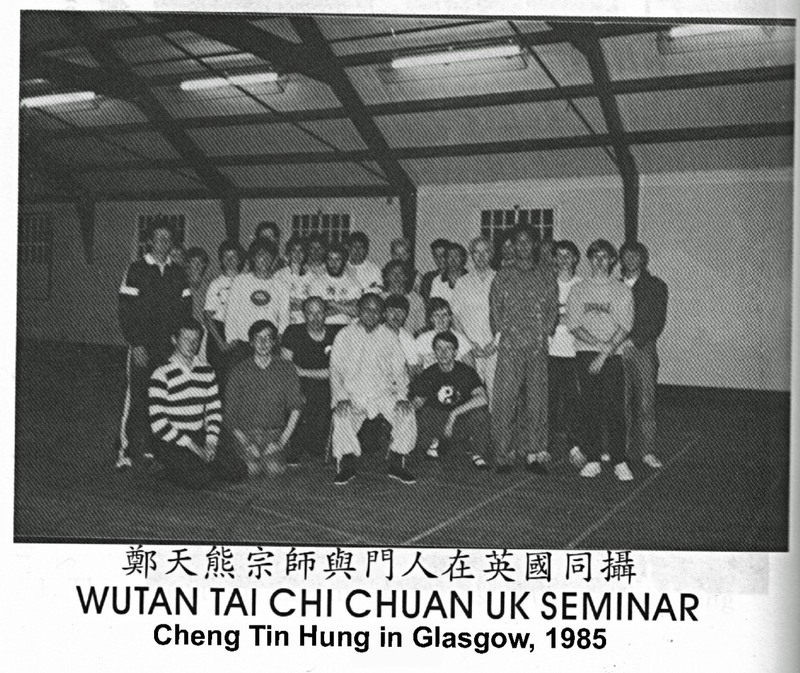 In 1984, Ian Cameron opened a Wutan class in Glasgow, and I changed then to that style in order to further my Tai Chi. Since the death of Cheng Tin hung in 2005, the style has become known as Wu-Cheng. I am fortunate to have attended a number of seminars run by Cheng Tin hung in 1985 & 86, held in Edinburgh, Bathgate, and Glasgow. Ian Cameron ran classes directly in Glasgow for about 2-3 years, and then through senior students, eventually falling to me in the early 90's. I have been teaching the class ever since. 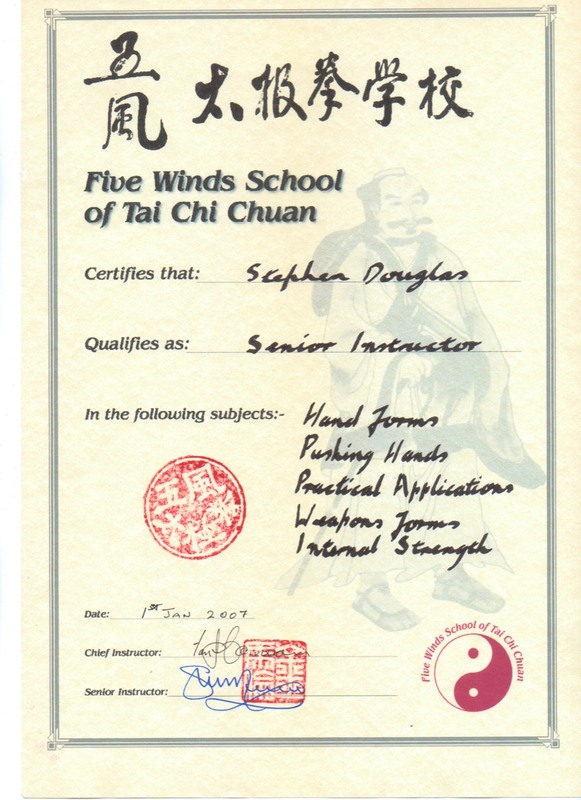 I obtained an intermediate teaching certificate within the Five Winds School in 1992, and Senior Certificate in 2007. 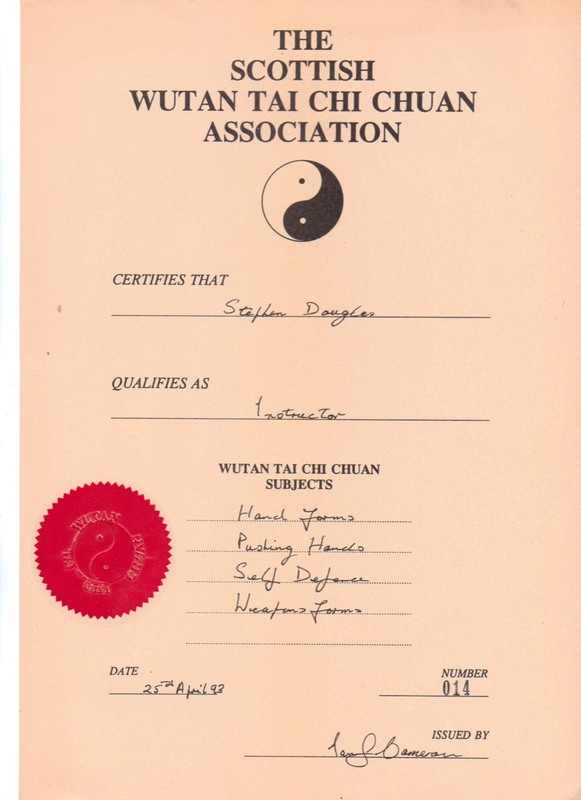 I entered the 2002 Tai Chi Chuan European Championships in Denmark, gaining two medals in advanced weapons forms, and visited Hong Kong and China in 2004. I still regularly attend classes held by Ian Cameron in Edinburgh, founder of Five Winds School of Tai Chi Chuan. The method of teaching in Glasgow remains respectful to that of Cheng Tin hung and Ian Cameron. Go to " About Tai Chi"
Cost £10 per class (£7 concession- if not working, retired, student or similar), if cash payment per class. Classes can also be paid in 4 week blocks if preferred, by means of safe online banking, whereby further discount applies. Only classes attended are charged for. Private tuition is by arrangement, but the class environment is recommended if possible. Full details are included in the ‘Welcome Pack’ issued at first class, or contact me to discuss.